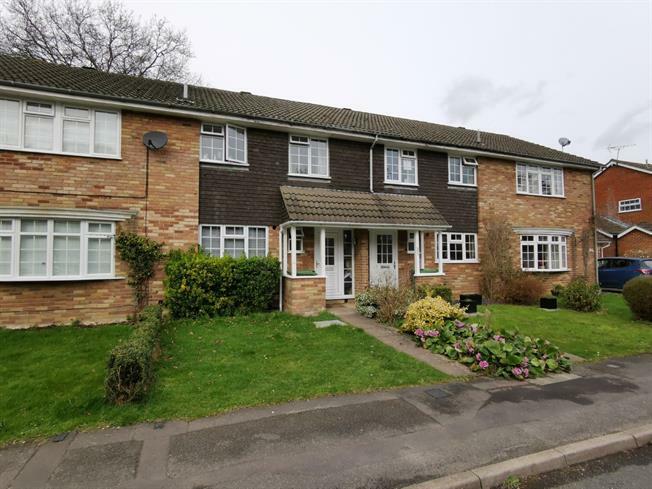 3 Bedroom Terraced House For Sale in Lightwater for Asking Price £395,000. Situated in a highly popular road is this well presented three bedroom terrace property. Accommodation comprises spacious entrance hall, cloakroom, kitchen breakfast room, lounge dining room, three good sized bedrooms and the family bathroom. Outside is an area of lawn with a path to the front door. The rear garden is fully enclosed with a patio the rest is laid to lawn with rear access leading to the garage with an up and over doors and off street parking for two vehicles.